Last night's episode of Who Do You Think You Are? 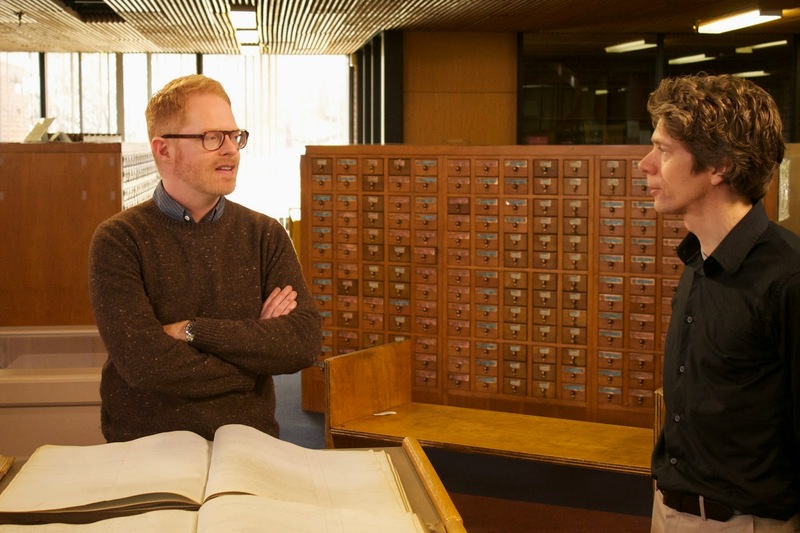 on TLC, sponsored by Ancestry.com was with Jesse Tyler Ferguson. It was terrific. Jesse found some startling information about his great-grandfather Jesse Wheat Uppercu, and if you watched last night's show you can enter the TLC contest. 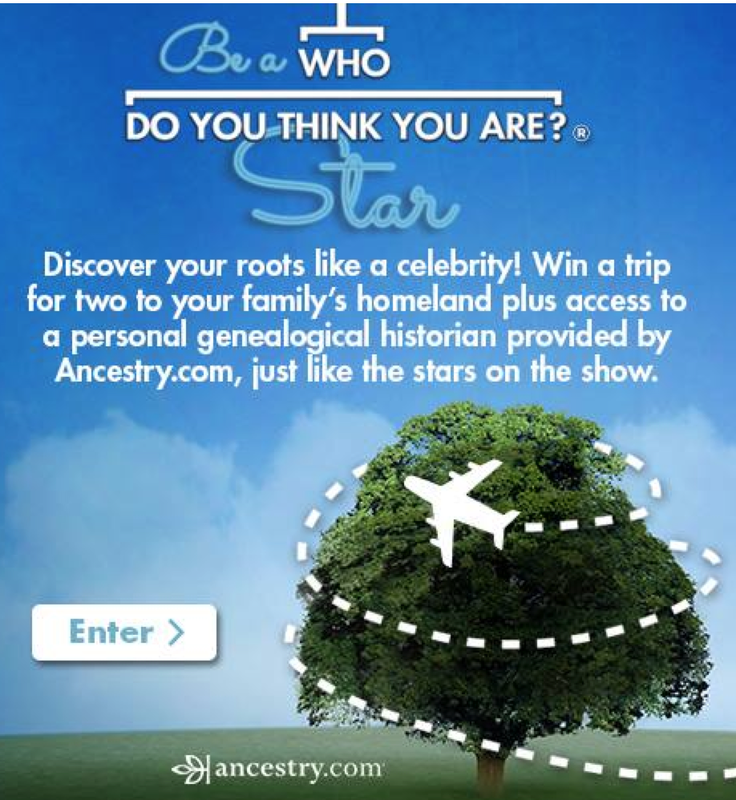 Answer a simple question about last night's episode and be entered for a chance to win a trip for two to your homeland and access to a personal genealogist provided by Ancestry.com The contest is open to residents of U.S.A. and Canada (except Quebec) so why not give it a try? Labels: Ancestry.com, Genealogy Contests, TV Series, WDYTYA, Who Do You Think You Are? 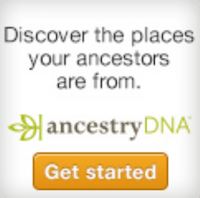 Ancestry.com is a sponsor of this award winning genealogy series. Here is today's sneak peek of tonight's Who Do You Think You Are? episode with Jesse Tyler Ferguson. In tonight's episode Jesse follows his great grandfather's trail to Alaska. He traces the path of the ambitious expedition on a boat trip up a river among snow-capped mountains and learns that his great grandfather's journey was an arduous one. Labels: Ancestry.com, Jesse Tyler Ferguson, TLC, TV Series, WDYTYA, Who Do You Think You Are? The prompt for this week (Week 30) is Tattle Tales. What happened if you "told" on someone? 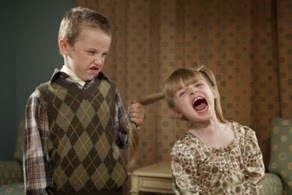 If your sister hit you and you ran to Mom or Dad, what was the consequence? Record your stories before they are forgotten. As Judy G. Russell of the Legal Genealogist blog says, “Oral family history can be lost in three generations". This is your chance to record and preserve yours. In my family we were not allowed to tattle. No matter what. My mother hated tattling and if you were foolish enough to run to tell on your brother or sister, *you* were the one who got in trouble. There was no line for "this is serious so it's okay to tell" and "this is a minor dispute". My older sister and I always did the dishes after supper, and she always took that opportunity to pinch and twist the skin on the inside of my elbow. It hurt like heck and I would cry. My crying made my mother furious, I suppose because in her mind, it was pretty close to tattling on someone! She would refuse to listen if I tried to tell her what had happened. All she was concerned about was the noise and commotion in the kitchen. Since I was the one crying or yelling at my sister to stop, I was the one causing the problem in her eyes. My mother would yell out for me to stop all the noise. If that didn't work and she had to come into the kitchen, I was in trouble. The minute she'd leave, my sister would give what I considered an evil grin and immediately pinch and twist my skin again. I learned pretty fast to suffer the pain silently. 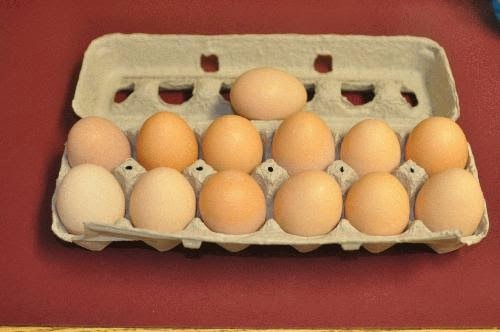 And no, I did not carry on my mother's tradition with my own children! They could come to me with anything and I listened. I didn't always interfere as I wanted them to learn to handle their disputes if possible. But if there was hitting or pain involved, I put a stop to it. In my house the rule was "if you hit, you sit" meaning there was a time-out for anyone causing physical pain to someone else. What was it like in your family? In 2012 I listed my personal favorites of Top 10 Genealogy websites. I've revised that list and created a baker's dozen of my most-used genealogy websites, in categories for Canadian, American and International research. Oh yeah, and there's an "Everything Category" too. There are many many other fantastic websites out there but I had to have a cut-off number so I chose the traditional "Baker's Dozen". * Ancestry.com - ($) pay site but my absolute #1. 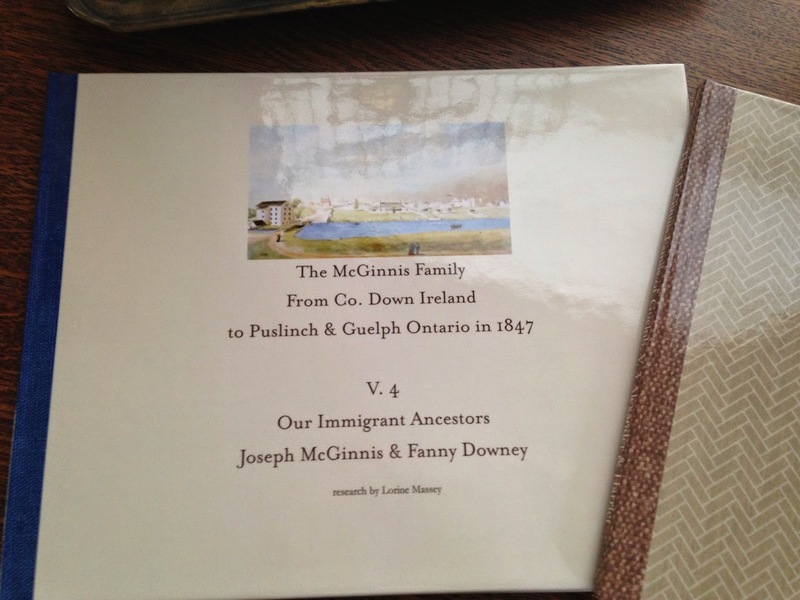 I visit several times daily in my search for Canadian, American and English ancestors. * Olive Tree Genealogy (free) Yes I know it's my site. 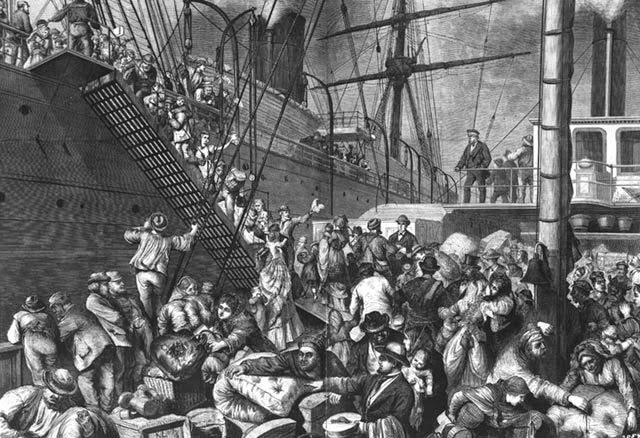 But it is my first stop for ships' passenger lists to USA, New Netherland research and New York records (births, marriages, naturalizations, almshouse, orphans etc.) It's eclectic and has a mix of genealogy records. * Fold3 - ($) pay site- So many military records you could get lost for a week! 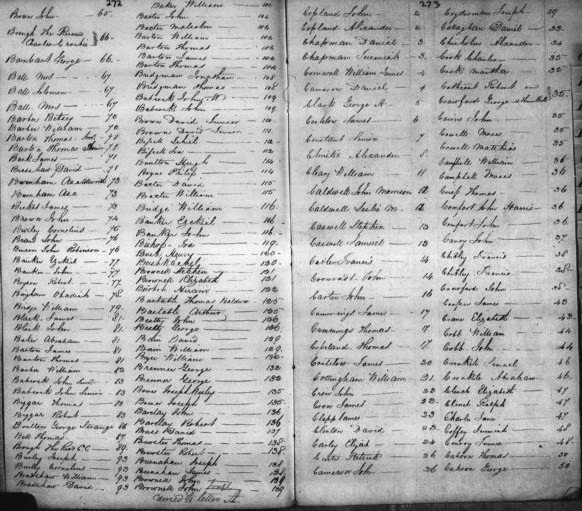 * Library & Archives Canada (free) - dozens of free online databases for anyone with ancestors who lived in Canada. I use this site at least once a month. * Olive Tree Genealogy (free) Yes I know I listed it in my American research category. 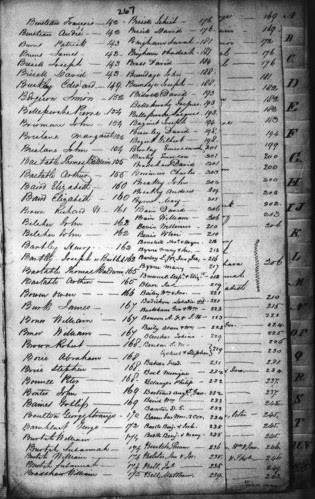 But I use it as my first stop to find ships' passenger lists to Canada and for Loyalist and land records in Ontario. * Free BMD - (free) Civil Registration Indexes. 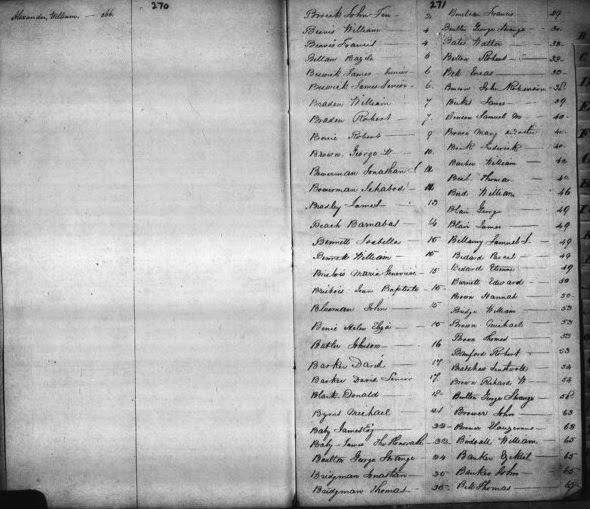 My mother's ancestry is solidly English so I use this site a lot (several times a month) to find ancestors in the index to Births, Deaths and Marriages after 1837. * The British Newspaper Archive ($) I love this site for finding newspaper articles about my English ancestors. I use it about twice a month. * The National Archives UK (free) Lots of online documents and very reasonably priced documents you can download instantly. I use this monthly for my English ancestors. * Trove. (free) Another newspaper site (and more!) for Australia. I have found many newspaper records here for my Australian and English ancestors. * Cora Web (free) If I want to know anything about ships passenger lists to Australia I head to Cora's site. I don't go that often but I know it's there when I need it. 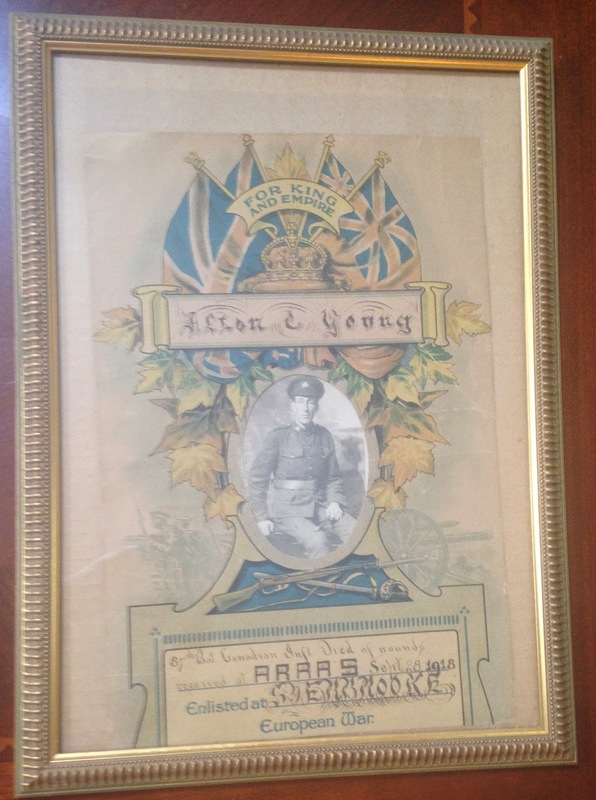 Private Douglas McNabb's framed WW1 photograph hangs on our wall. We don't know Douglas and we are not related. 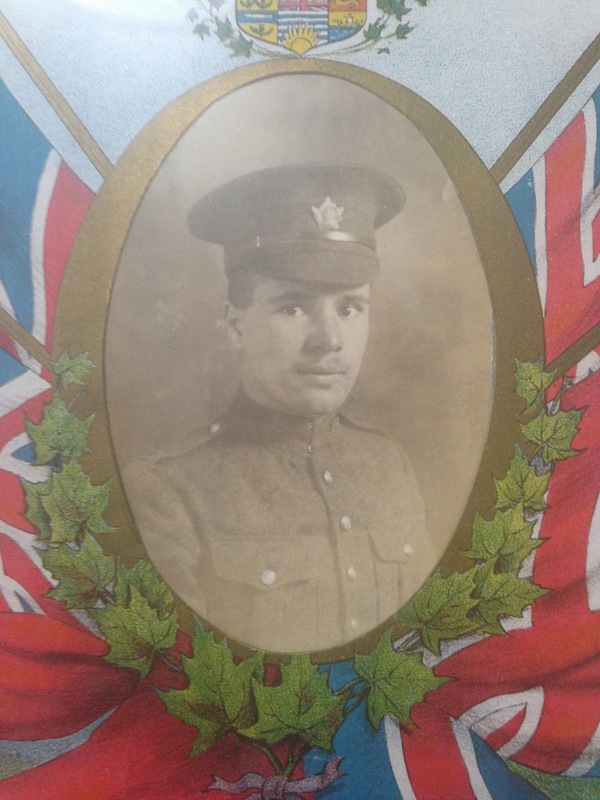 But he is one of several CEF (Canadian Expeditionary Force) soldiers who we honour. His framed photo was probably taken before he left to go overseas. This was a common thing for young soldiers to do before departing. Eaton's Department Store and other places offered a lovely military background for these soldiers' photos. 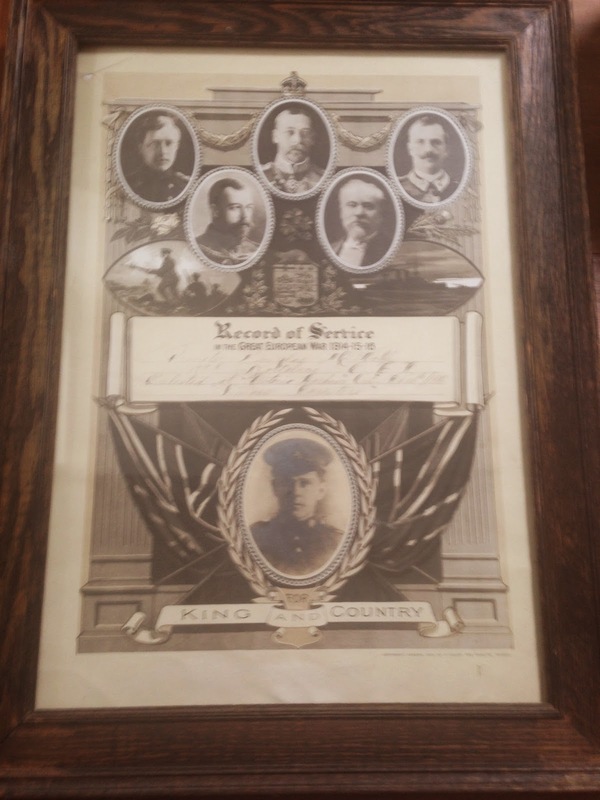 Sometimes framed photos were not ordered until a soldier had been killed. A mother would take her boy's photo and order the backdrop and frame to memorialize him. 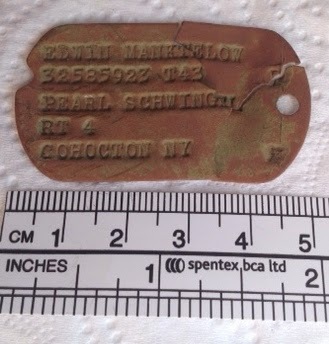 Research on Ancestry.com found more details about Douglas and his service. 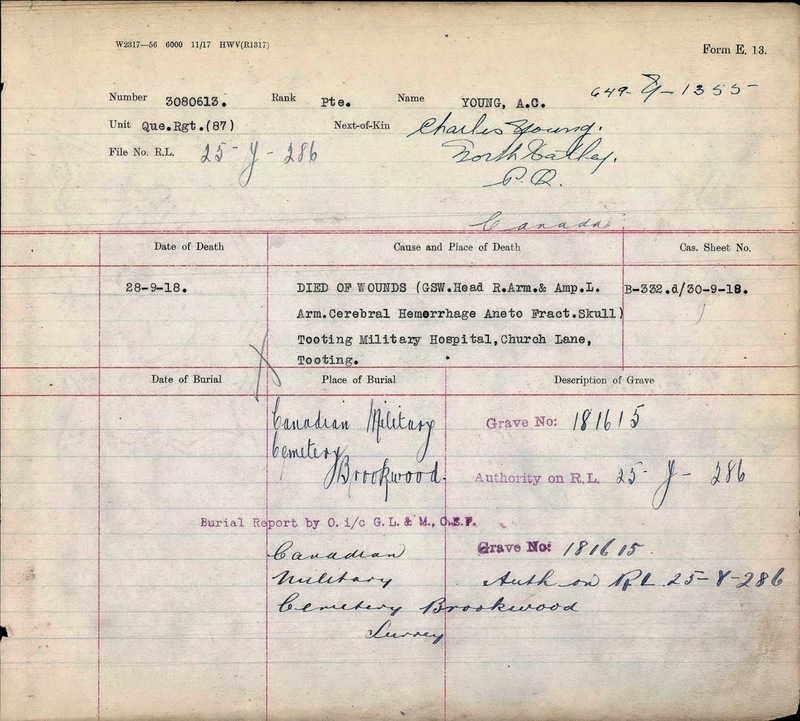 His Attestation Papers reveal that he was born 14 Apr 1896 in Victoria Harbour (which co-incidentally is about 5 minutes from my home), his mother was Agnes and his full name was Douglas Burns McNabb. One of the witnesses to his papers was a Wallace Burns - possibly a relative. 20 year Douglas was listed as having a ruddy complexion, brown hair and brown eyes and tall - 5' 10" in height. He was assigned to the 177th Battalion. 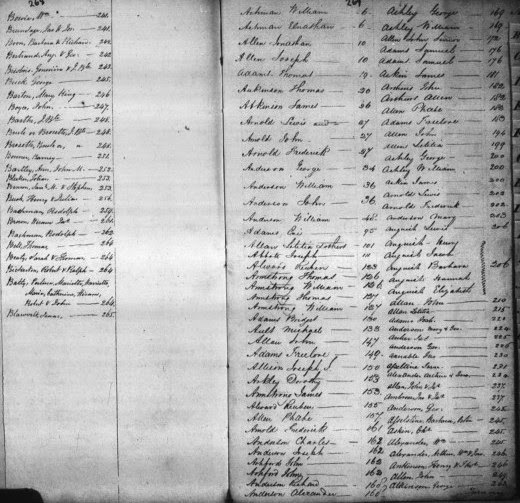 Birth records on Ancestry.com reveal his father as Alexander McNabb and his mother was Agnes Burns. I was happy to see that young Douglas survived the war and is found on the 1921 census for Victoria Harbour with his parents and a younger brother John. Douglas' occupation is given as fireman. I also found him in the 1945 Voter's Lists for Victoria Harbour, still working as a fireman. There is no wife listed with him so perhaps he was a life-long bachelor. In any case he will be remembered in our home for his service. 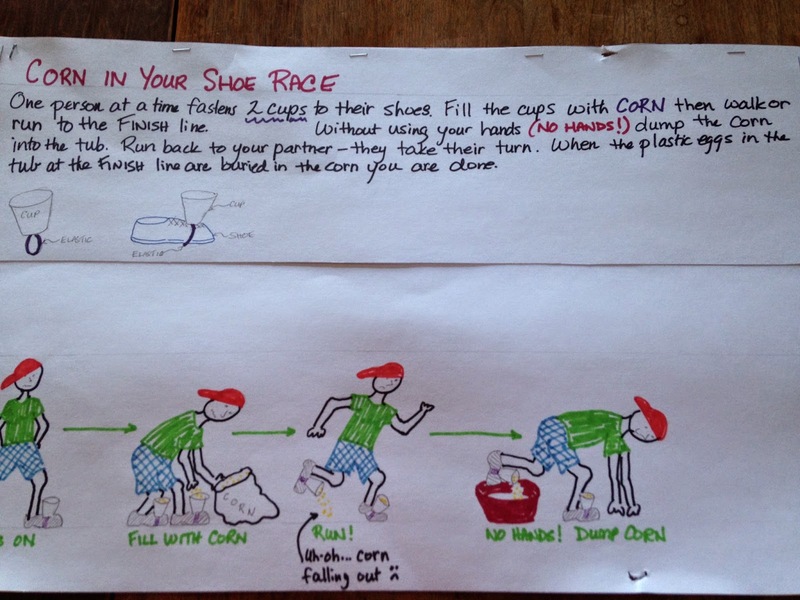 Sharing Memories Week 29: Chores- What Kid Loves 'Em? The prompt for this week (Week 29) is Chores- What Kid Loves 'Em? Did your parents make you do chores as a kid? What jobs were yours? Did you get an allowance for doing jobs around the house? Did your Mom and Dad run the house in a traditional fashion with boys doing "boys' chores" and girls doing "girls' chores"? Mine did. I had an older sister and two older brothers. We did chores based on traditional gender roles - my brothers took out garbage and mowed the lawn, while my sister and I set the table, did dishes, and so on. My sister had to do a lot more than I did - she was responsible from the age of 10 for looking after me in the mornings (I'm 5 years younger) and getting me ready for school. She also had to make sure my brothers and I got breakfast during the week. Mom made a huge pot of oatmeal on the weekend and it got reheated every morning on school days. My sister also had to iron my dad's white work shirts, start supper before my parents got home from work, and help Mom with other jobs. Both my parents worked during an era when most moms were at home taking care of the kids and the household. We didn't get any money for these jobs, it was just expected of us. I don't remember having to do much more than set the table for supper, clear the table and dry dishes while my sister washed them. We fought constantly (but quietly) while doing chores together. When I was a bit older I helped with the laundry, mainly because I loved putting the wet clothes through the wringer! But I don't remember being told I had to do it. I don't think the work division was equitable in our home. It seems to me my sister was expected to take over the traditional housewife role as much as possible. 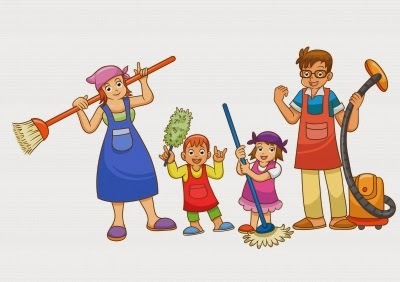 Mom wasn't big on housework and she did as little as possible, and didn't make us clean our rooms or make our beds. It wasn't like she did it for us, it just didn't get done. She didn't care if our rooms were messy and our beds unmade. It was great as a kid but as an adult both my sister and I quickly learned that we didn't really know how to clean a house! Sure we knew how to dust and run a quick vacuum but that was it. We had never learned the finer points of household cleanliness. But don't worry - if you come to visit me, I know now how to do a thorough cleaning! Family history is back on TV! The new season of Who Do You Think You Are? is launching on July 23rd at 9/8c with an outstanding cast on TLC. Ancestry.com is the main sponsor. If you aren't familiar with the show, it features stars uncovering secrets and learning their histories as they travel the world in search of their family histories. They often discover how history has shaped their lives, and how personality traits have been passed down. Labels: Ancestry.com, Cynthia Nixon, Jesse Tyler Ferguson, Kelsey Grammer, Lauren Graham, Rachel McAdams, Television Shows, TLC, Valerie Bertinelli, WDYTYA, Who Do You Think You Are? This year I decided to keep it simple. We built an in-ground pool last year for my physiotherapy water sessions, and it seemed obvious that most of our family and friends would enjoy just relaxing by the poolside. But just in case I set up 4 fun events, all based on old-fashioned games. We had an Egg on a Spoon Race, Corn in Your Shoe Race, Froggy Hula Hoop Event and a good old-fashioned sack race. Of course there were prizes for the winning team. 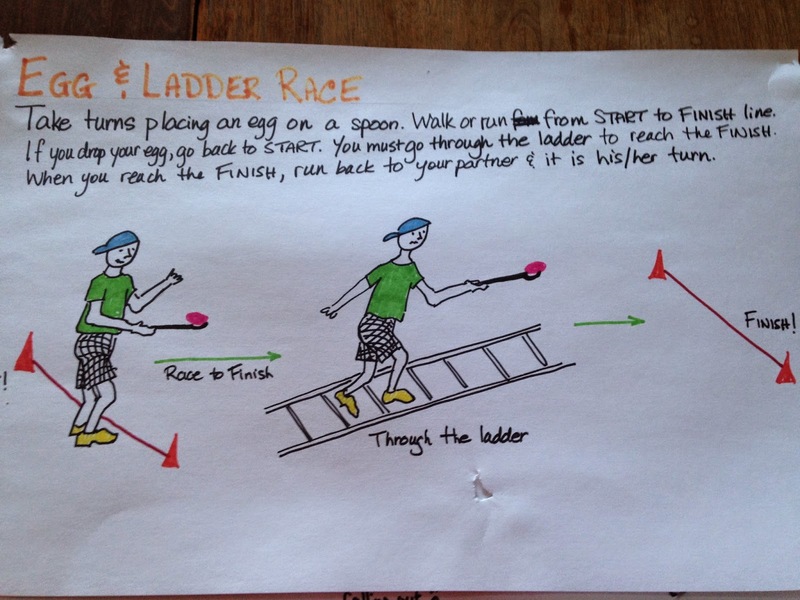 I always draw quick sketches of each event showing the rules and how to play. I like folks to mix it up and get to know other family members (each year I invite someone new that other family don't know) That means husbands and wives can't be partners during the games. So this year I gave out Leis to everyone and the idea was that each person was to find whoever was wearing the matching lei and that would be their partner for the events. The photos you see here were taken after the posters for each event sat out in the rain so forgive the worn appearance! The key to a successful Family Fun Day is organization. So if you have not held one yet, be sure you plan it carefully. If you're like me you will need to make notes on what needs to be done. I covered my White Board in my kitchen with daily "to-do" lists starting on the Thursday before the big day. Of course I also put out the Shutterfly books I created for our McGinnis family for everyone to look through. I also have a plan for the day itself. Flexibility is built into it but it's important to think about timings - when will you eat, how far ahead will you set up buffet tables, when will you hold the games, when to serve coffee or tea, and so on. Because I put family members to work I also create a timeline which I post on my white board or the fridge. It lists what needs doing throughout the day. That way if it gets hectic (as it always does!) I can simply ask people to help with a specific task and point them to the white board where they find details on what needs doing. 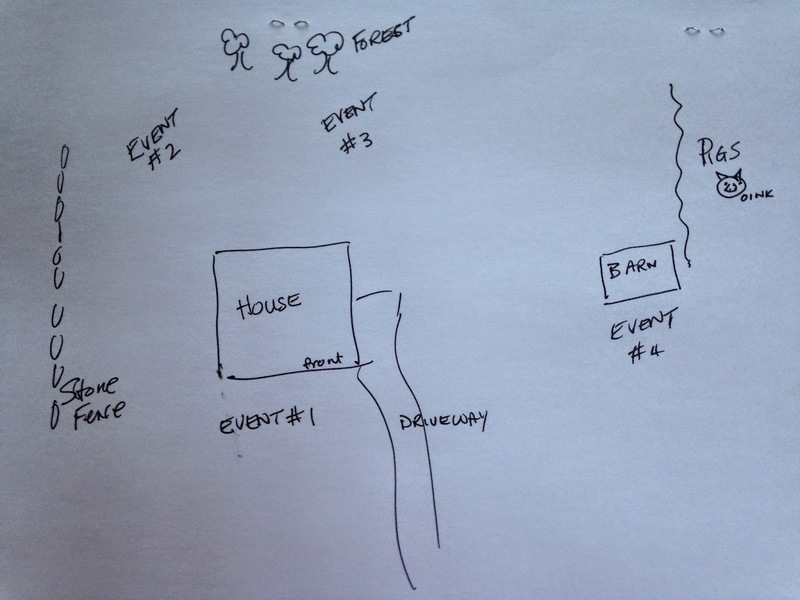 A quick diagram of where I want the events set up in our yards helps with organization when I ask my husband or son to get that set up with flags, ropes, traffic cones and whatever equipment is needed for each event. I just hand them my sketch, point to the tubs of equipment and they manage the rest without any input from me. You can see from my sketch that it isn't elaborate - it takes about 5 minutes or less to create. So remember - organization and flexibility are the keys to a fun and successful Family Fun Day. Have you had yours this year? 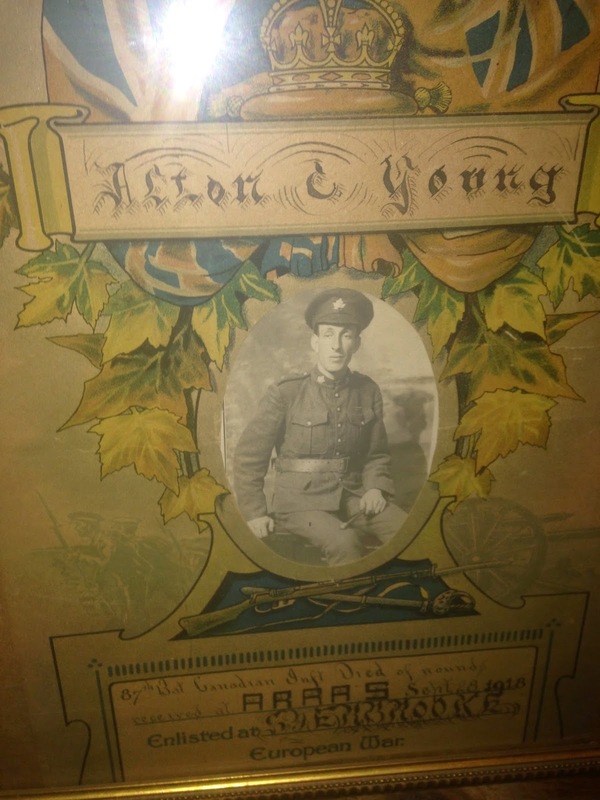 Alton C. Young's military photo hangs on our wall. 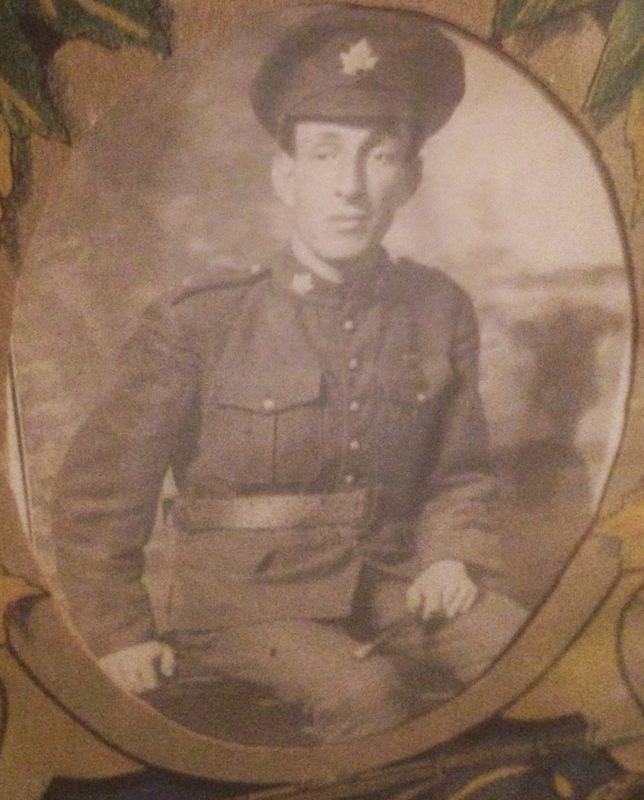 We aren't related but he is one of several WW1 soldiers whose life we remember with respect. Alton had his photo taken in his C.E.F. uniform before heading overseas to join the fighting. This was a typical thing that many men did before leaving. Research on Ancestry.com found more details about Alton and his short life. 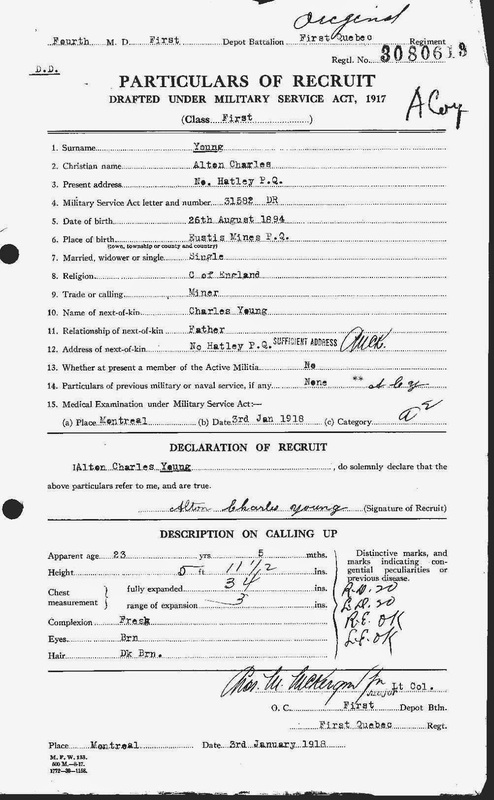 His attestation papers reveal that he was born Alton Charles Young on 26 August 1894 in Quebec. His father's name is given as Charles. 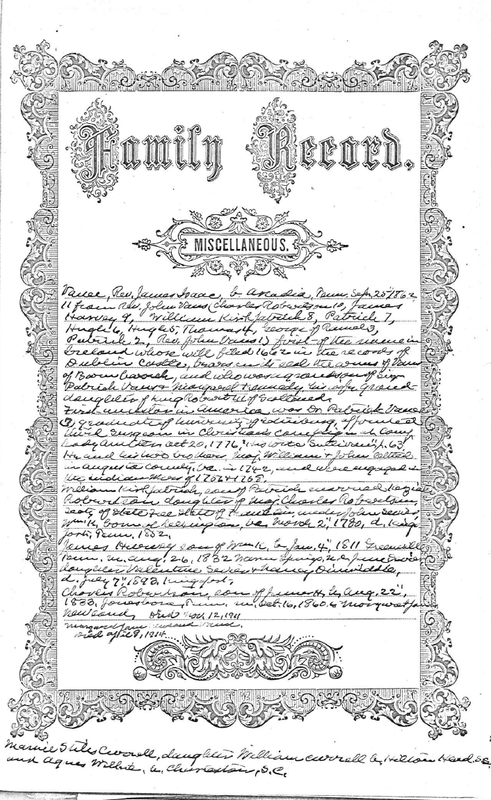 Searching birth records provides his mother's name of Almeda. Census records for 1911 indicate he was one of 7 children. Alton was tall for those times - 5'11" with dark brown hair and brown eyes. He enlisted on 3 January 1918 and was only in the war for 9 short months before being killed at Arras. Gunshot wound to head, right arm and left arm. Died of cerebral hemorrhage and a fractured skull at Totting Military Hosptial in Totting England. 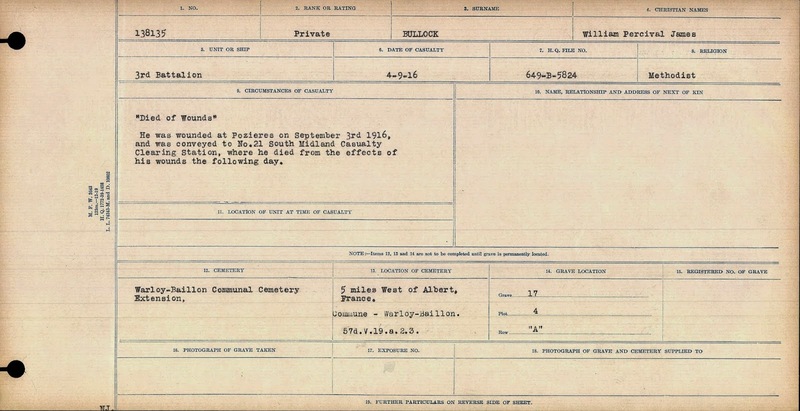 Alton was buried in Grave #181615 in the Canadian Military Cemetery in Brookwood, Surrey England. A photo of his tombstone can be seen. 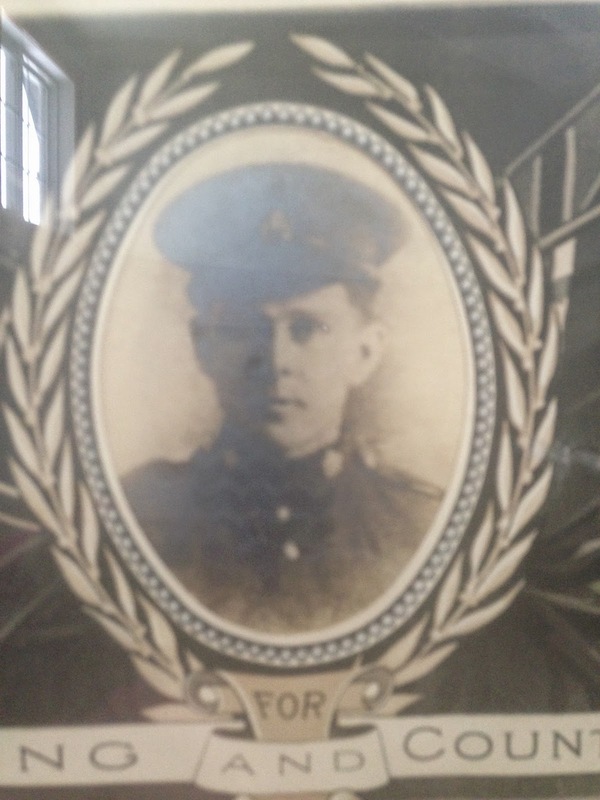 His father Charles living in North Hatley Quebec was noted as his next-of-kin. Young Alton was only 24 when he was killed. He was not married so left no descendants to honour him. 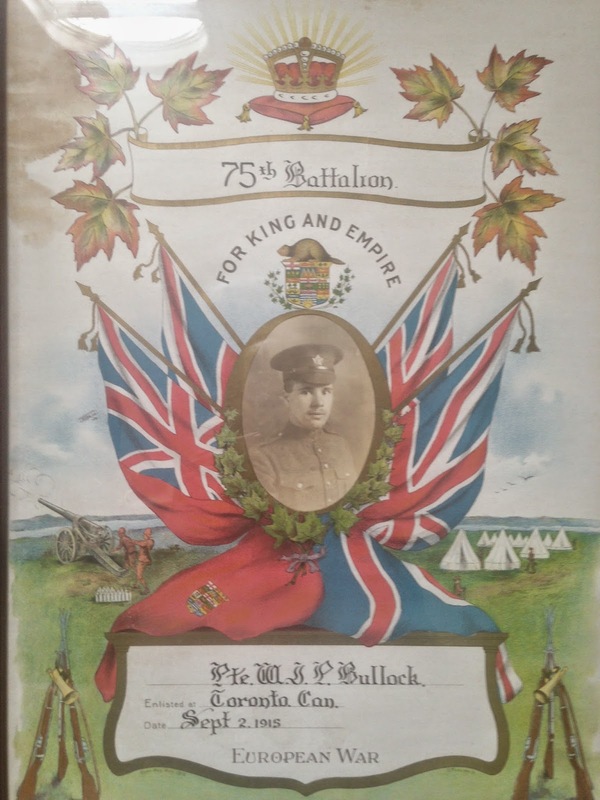 But someone did honour and remember him for they kept this framed photo for many years until it ended up in an Antique Store in Ontario. Thanks to my husband, Alton now has a place of honour in our home. His story will be passed on. 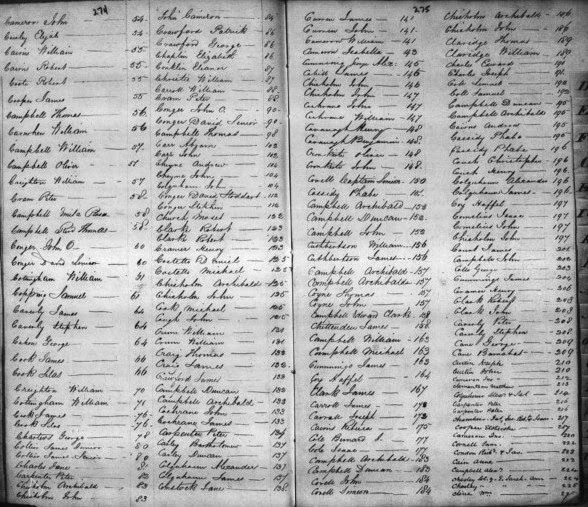 As I continue in my corrections, I happened upon this wonderful index of names for Commissioners Reports 1836-1845 on film H1151. The Canadiana.org description stating that H1151 contains V. 90-98 is incorrect. This film contains V. 86-89 Below is the index for Names A-C for Volume 86 of microfilm H1151 Heir & Devisee Commission. You may save these images to your computer then enlarge them in your graphic program to read. 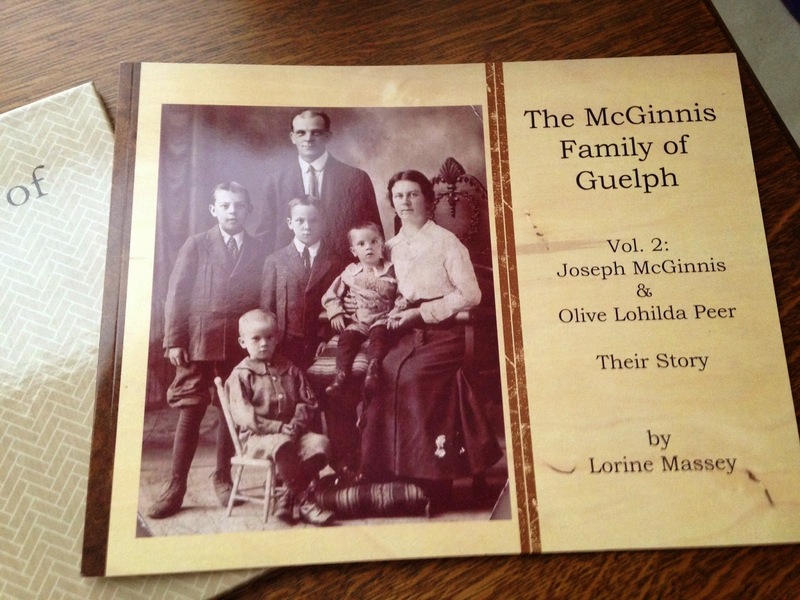 There are 32 pages of names total and I will continue publishing them here on Olive Tree Genealogy blog. Volume 86 consists of Commissioners Reports 1836-1845 on images 49-319. Using the index below, you see that Robert Brown is indexed as page 168. We can then go directly to the Heir & Devisee Commission online microfilm and hunt for this page in order to view Robert's claim.